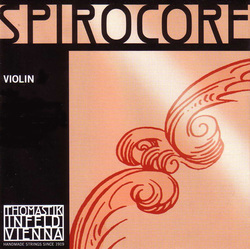 Spirocore is Thomastik's premium metal cored string range. They feature a multistrand metal rope core which produces a soft feel for a metal string, a warm well rounded sound and excellent tonal stability. They last well and as such offer excellent value for money.